After taking a yearlong hiatus from baseball last May, the Seattle Mariners’ outfielder, Ichiro Suzuki, returned for the opening series of the Major league Baseball regular season at the Tokyo Dome in Tokyo, Japan against the Oakland Athletics. With five at-bats over the two games in Tokyo against Oakland, the legendary Mariners’ outfielder, walked once to ensure a .167 on-base percentage for his final season, 2019. “I can’t wait to see the league honor him the way he truly deserves,” Anchan said. He acquired 3,089 hits in his Major League career, though debuting at the 27 years of age, which is old for most rookies. He acquired 2,542 of his hits for Seattle. Including his two games this season, he played 19 seasons in the Major Leagues, 14 of them in Seattle, three years for the New York Yankees, and three years for the Miami Marlins. Apart from his 19 seasons in America, he played nine seasons in Japan in the Nippon Baseball League. He spent his entire Japanese career with the Orix Blue Wave, based out of the Kyocera-Dome in Osaka. He acquired 1,278 hits for the Blue Wave. Combined with his Major League stats, Ichiro’s career hit total comes to 4,367, 111 hits more than the Cincinnati Reds’ utility star, Pete Rose, who acquired the recognized most hits in Major League Baseball history at 4,256. Tied with Hall of Fame outfielder Vladimir Guerrero for the 126th best W.A.R. 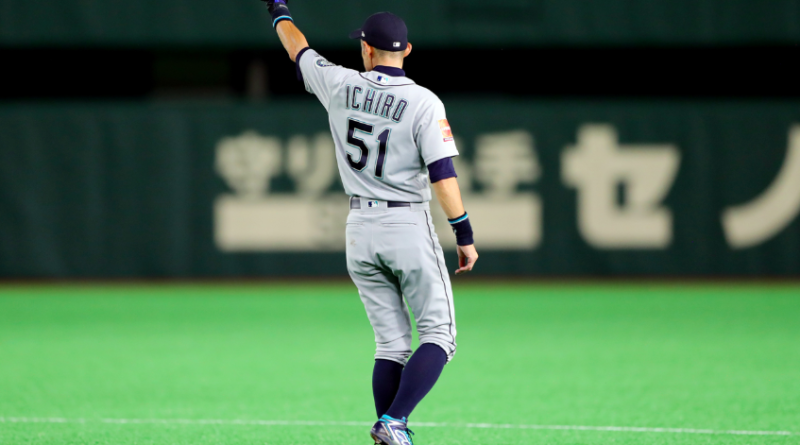 (Wins Above Replacement) in baseball history at 59.4, Ichiro is a ten-time all-star, a ten-time Gold Glove Award winner, and a three-time Silver Slugger Award winner. He has finished in the top-25 for voting for the Most Valuable Player nine times, winning the award in his rookie season, 2001, when he easily won the Rookie of the Year Award. In his first M.L.B. game, Ichiro and the Mariners took home a 5-4 victory over the Athletics. In his final M.L.B. game, Ichiro and the Mariners took home a 5-4 victory over the Athletics. He left the field at the Tokyo Dome during the eighth inning of yesterday’s game to a blisteringly loud crowd full of nothing but cheers.